HORIZON DEAL OF THE DAY! 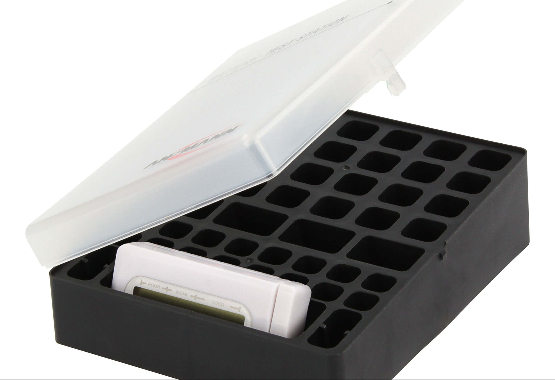 With the practical storage box from ANSMANN, you have your rechargeable batteries together, organized and protected at all times! There is space for a total of 44 cells in the storage box: 24x AA, 20x AAA and 4x 9V batteries. This ensures that you always have your most often used standard batteries or rechargeable batteries close at hand, whether you are at home or on the road. 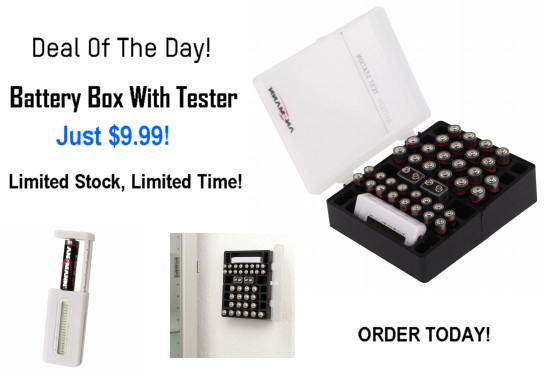 Battery tester included! A battery test device is included in the box. Keep an eye on the capacity of your standard batteries / rechargeable batteries. The capacity is indicated via an easy-to-read LCD display. You always know how full or empty your cells are. ONLY 24 HOURS LEFT TO CLAIM YOUR SPECIAL PRICE!